Foodstuff satisfying body demands while intense physical effort, especially sportsmen. 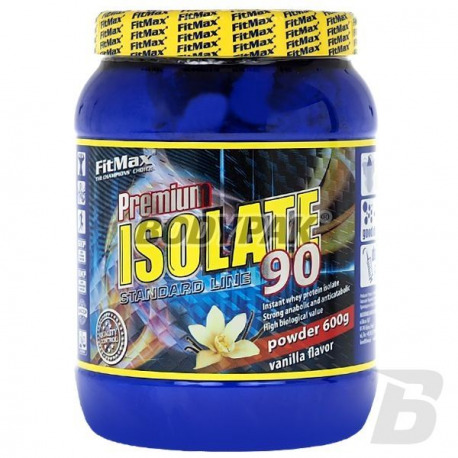 FitMax Premium Isolate 90 is a foodstuff supporting postprandial regeneration of the body, while promoting increased muscle protein synthesis. The basis of the product is instantized whey protein isolate, having a high biological value, high protein content and a low content of accompanying substances, particularly lactose. 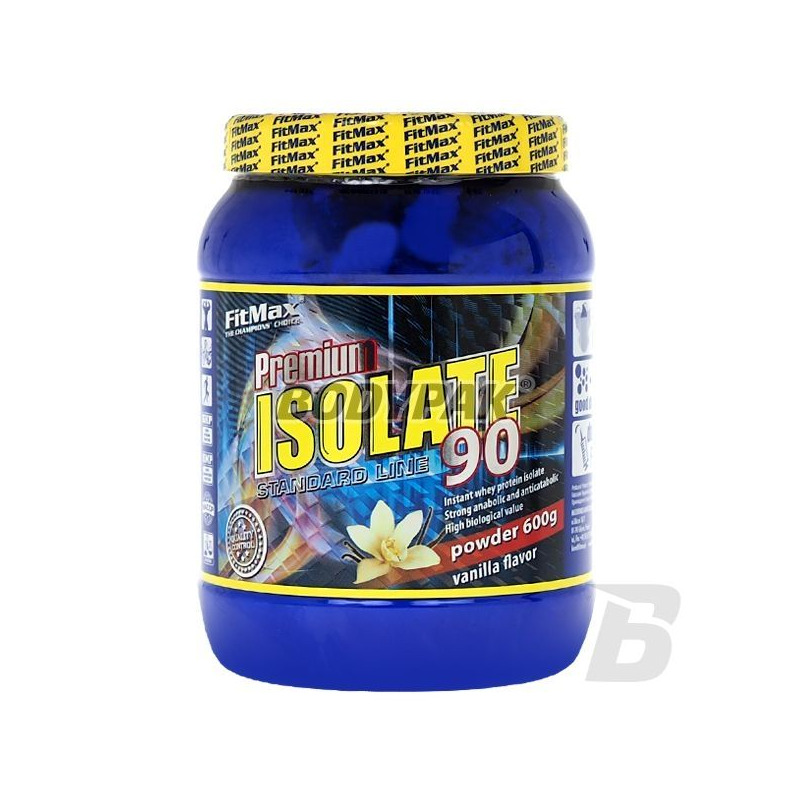 The rate of digestion and absorption in combination with a suitable amino acid profile is its great strength anabolic. Składniki:Instantyzowany izolat białka serwatkowego 90%, aromaty: waniliowy, waniliowo-śmietankowy, substancja zagęszczająca: acacia, regulator kwasowości: kwas cytrynowy, substancje słodzące: aspartam, acesulfam K, barwnik: tartrazyna. Dobry skład, dobra cena, spoko rozpuszczalność i przede wszystkim działa, a to dla mnie najważniejsze!